Saturday July 1 (9pm-midnight): 6th annual Ithaca moth night. Meet at the main parking lot of Robert H. Treman State Park (lower unit) any time after 9pm. 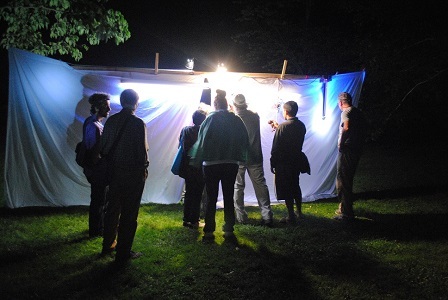 There will be mothwatching at four light stations, a demonstration on the varying insect attraction of different wavelengths of light, and a bait line around the edge of the parking lot adjacent to the park office. Kids are welcome to help paint the moth bait (fermented fruit and brown sugar) on tree trunks at 9pm. Access to the park is free after 6pm. The event will be cancelled if heavy rain and/or lightning are in proximity. 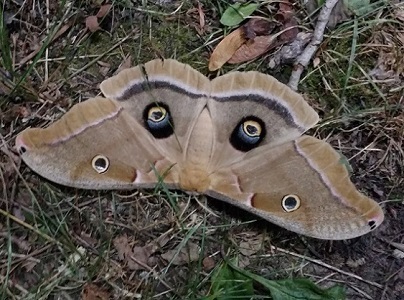 Saturday July 15 (9pm - late): Finger Lakes Land Trust mothwatching event. Meet at the north entrance of the Roy H. Park Preserve. Bring a lawn chair, a head lamp, warm clothes, and a camera. 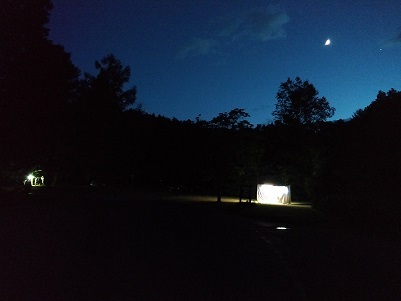 Several lights will be set up for moth and other insect observation and we will discuss the identification and natural history of the species that come in. Leading this event will be Jason Dombroskie, Manager of the Cornell University Insect Collection and Coordinator of the Insect Diagnostic Lab. He has 26 years of experience mothing and has many years of experience leading interpretive talks and walks on natural history. Rain date is Sunday July 16.